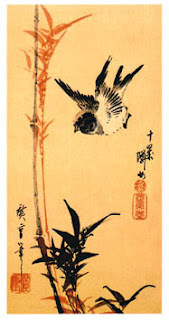 some say that stephane mallarme's poetry was influenced by japonisme -- not in the way mentioned earlier, the simplified form, without rhyme, as seen in haiku. 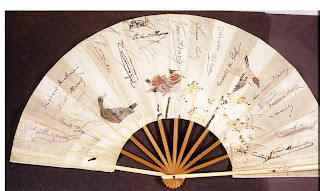 it's obvious that he was into these new forms from the east; he made these fans, this notebook, with illustrations borrowed directly from hiroshige. 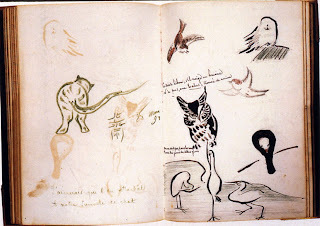 what has been said is that mallarme took the same things that the visual artists took: a certain use of spaces, a certain focus on nature, a certain "color." i find that fascinating but you couldn't learn it from me because i have never read mallarme. nor have i read zola, or proust, or much of thomas mann, henry james, andre gide, d h lawrence, or anyone else who could really give me a picture of what it was like living exactly when all this was going on. so i would greatly appreciate recommendations. if it's a translation, whose version is the best? who should i read? where should i start? thanking you in advance. Fascinating. I have always been drawn to the symbolist poets. hmmm--who do you recommend? i have read and loved some rimbaud. is he one? My blog is dedicated to recommending books that I have enjoyed reading.